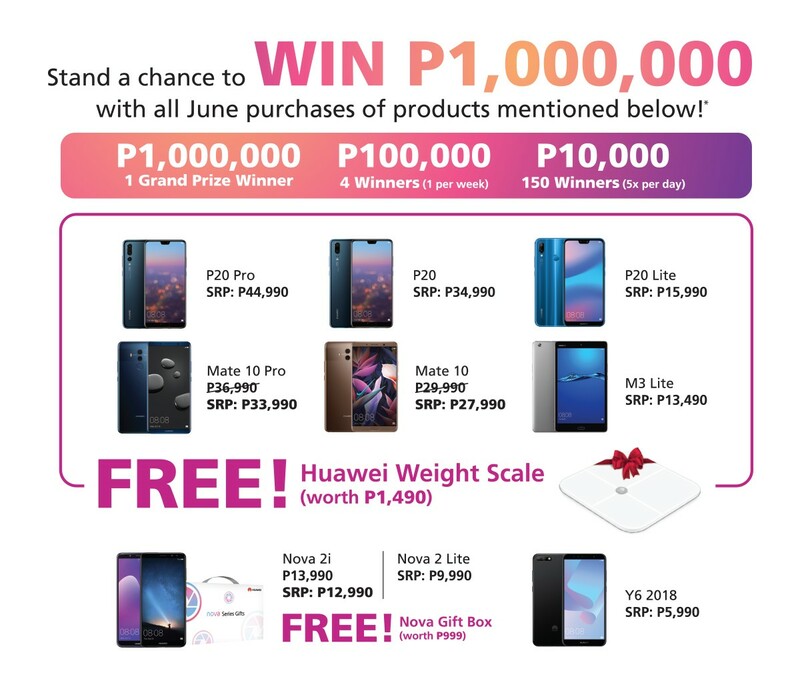 Purchase any participating HUAWEI device this month of June and not only do you get freebies, but also a chance to win up to Php 1,000,000! The promotion is open to all customers of HUAWEI Device Philippines purchasing from all HUAWEI Experience Stores (HES / H) and Multi-Brand Stores nationwide. Promotion will be from June 1 – June 30, 2018 only (“Promotion period”). HUAWEI end-users are entitled to the freebie for every purchase of HUAWEI P20 Pro, HUAWEI P20, HUAWEI P20 lite, HUAWEI Mate 10, HUAWEI Mate 10 Pro, HUAWEI nova 2i, HUAWEI nova 2 lite, and HUAWEI MediaPad M3 lite units. Freebie will be provided upon purchase of consumer in purchase date itself. All employees of HUAWEI Technologies Philippines, partners and agencies including their relatives up to the second degree of consanguinity or affinity are disqualified to join the promo. Freebie will be provided upon purchase of consumer in Promotion date itself. Open to all fans of HUAWEI Mobile Philippines residing in the Philippines for at least one (1) year and of legal age. Employees of HUAWEI Mobile Philippines and Eventscape Manila, hereinafter the “Organizers of the Promotion”, and other official media partners and sponsors and their relatives up to the second degree of consanguinity or affinity are disqualified from joining. Participants have secured all necessary consents from persons whose names, images, and other personal information appear in their entry as to the inclusion of such personal information in the entry and the publication of the same according to Clause 3(d) of these mechanics. The promotion period is from 01 June to 30 June 2018 only. Consumers are entitled to one (1) entry each only. The winner will be notified through the registered email and private message on Facebook to confirm that he / she is a winner of the lucky draw and provide details on how to claim the prize. HUAWEI will not hold responsibility once the prize is bank transferred with provided information by winner. Winners shall be notified through registered email and Facebook message. The Organizers of the Promotion will not be responsible for any expenses incurred by winners when claiming their prizes. 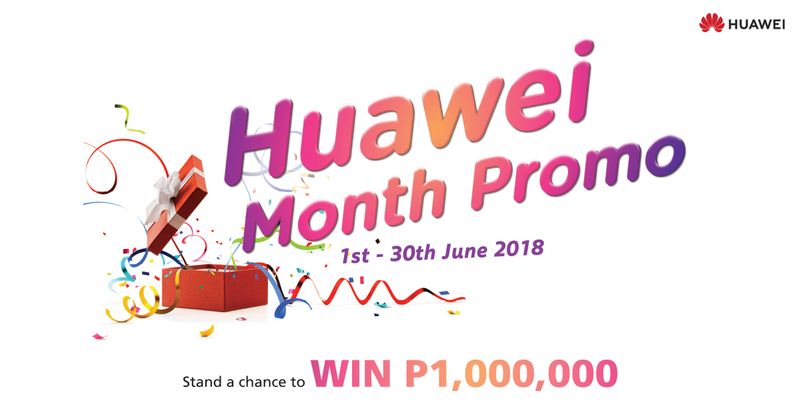 Prizes not claimed within sixty (60 days) days after the receipt of registered notice of winner with prior approval of the Department of Trade and Industry shall be forfeited in favor of HUAWEI Mobile Philippines.